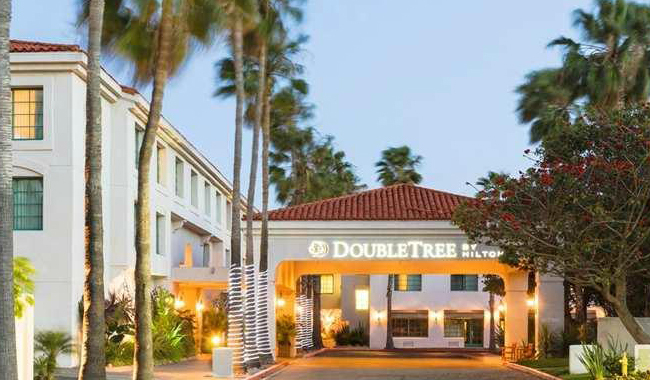 Overlooking a marinand beach in the Los Angeles Harbor, this upscale hotel near the Port of Los Angeles is a 9-minute drive from Interstate 110. All rooms offer contemporary decor and custom-designed beds, plus flat-screen TVs and WiFi (fee). Some have balconies. Suites add separate living and dining areas, plus kitchenettes. There’s a chic seafood restaurant and bar with a patio. Guests can access an outdoor pool and sundeck, as well as a fitness center. Additional amenities include 16,000 sq ft of meeting/function space and a business center.